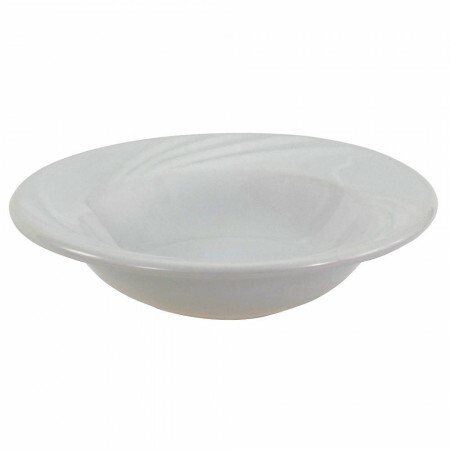 Use the Crestware RE31 Dover White Rolled Edge Fruit Bowl 4 oz. for serving fruit, vegetables, or fresh green salads. The classic bone white finish of this bowl adds a simple yet timeless touch to both casual and formal table settings. Designed with a wide rim and rolled edge, this bowl provides a comfortable grip during service. An excellent addition to your dinnerware collection, this vitrified ceramic bowl has a delicate look but is strong enough to be used in the oven, microwave, or dishwasher.